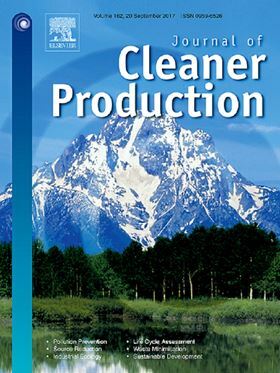 The research article 'Efficiency and economic feasibility of forward osmosis in textile wastewater treatment' wiill be published in Elsevier's Journal of Cleaner Production. Implementing forward osmosis (FO) into textile wastewater treatment process can provide high value to an industry segment which is a large consumer of fresh water and one of the biggest polluters. In this study real textile wastewater was used as feed solution with 1M NaCl, 1M MgCl2, blue dye mixture, and green dye mixture as draw solution in FO. Pre-determined concentrations of green and blue dye mixtures based on final desired concentrations (for further use in dyeing process), gave comparable water flux with 1M NaCl and 1M MgCl2, however, slightly higher reverse salt flux values were obtained with dyes compared to the inorganic salts. Long-term filtration followed by chemical cleaning of the FO membranes tested resulted in 100% flux recovery with negligible irreversible fouling. Membrane surface characterisation (zeta potential, contact angle, SEM and ATR-FTIR) confirmed efficient FO membrane cleaning and complete flux recovery. Rejection performance of the FO membranes for COD rejection was > 94% with up to 55% water recovery. The rejection of TDS, TSS, Zn2+, and SO42- were all > 99%. Using the obtained results an OPEX/CAPEX analysis demonstrated the economic feasibility of using the FO process in textile wastewater treatment system. The use of carbon nanotube membranes for the removal of zinc from water and wastewater effluent was investigated. A nanofiltration membrane module from a produced wastewater desalination plant was examined and cleaned to explore appropriate chemical cleaning protocols. Remediation of heavy metals from wastewaters has been very complex, expensive and a challenging goal for a long time.